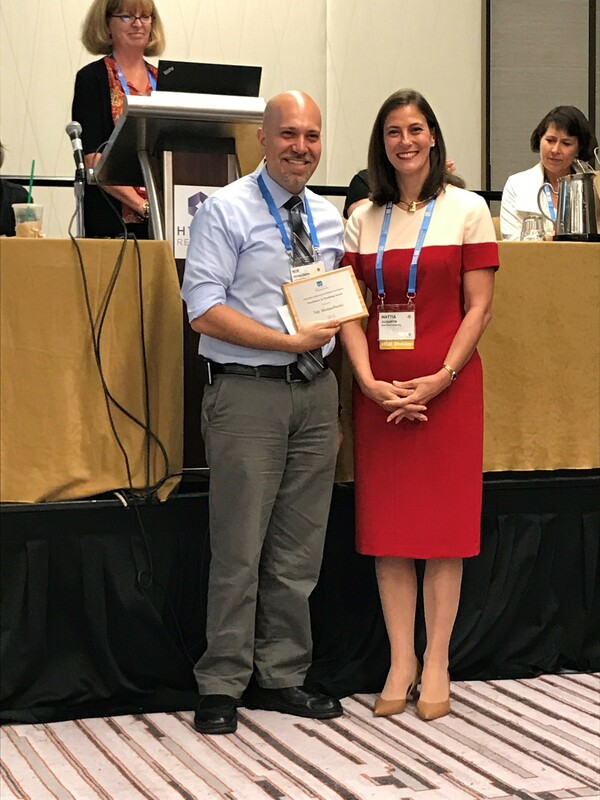 In early August, Dr. Nir Menachemi, professor and department chair for the Health Policy and Management Department at the Indiana University Richard M. Fairbanks School of Public Health at IUPUI, received the Excellence in Teaching Award. Established by the Health Care Management Division of the Academy of Management in 2005, the Health Care Management Excellence in Teaching Award annually recognizes innovative and outstanding teaching. It is designed to encourage, recognize and reward the work of excellent, dedicated and inspiring teachers. According to his students and colleagues, Menachemi fits the bill, playing a vital role in the lives of his students. “He has been a critical component in my career, having served as my program director, teacher, and enduring mentor,” said Menachemi’s former student, now assistant professor, Alva Ferdinand. Through his dynamic lecturing style, conversations about current events, and innovative group assignments, Menachemi is able to engage students of all levels. Students flock to Menachemi for mentoring, as he has published more than 200 peer-reviewed scientific papers and chaired over a dozen dissertation committees. While his research – examining how organizational strategies impact critical performance measures – is intensive, he still finds time to invest in his students. Hogan believes Menachemi gives life to the content he teaches by making each concept relevant for today’s healthcare world. Even the most complicated of ideas are understandable to his students. As a first-year assistant professor, Hogan finds herself reflecting on her experiences with Menachemi.